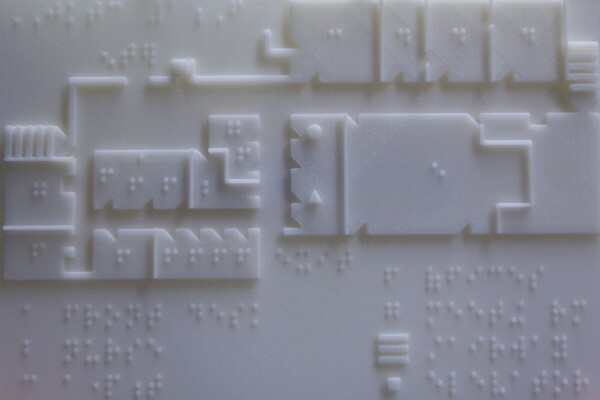 #3DPrinting Maps to Help the Blind #3DThursday « Adafruit Industries – Makers, hackers, artists, designers and engineers! What might a city map look like in 3D? One of the key goals of any map is to help users differentiate between buildings and transit hubs, railways and roadways, water and land. Using open data from Open Street Map, one Finland-based designer, Samuli Kärkkäinen, has started working on that. The application, Touch Mapper, allows users to put in any address to generate customized tactile maps of a neighborhood.